This book addresses a wide range of audience. It is dedicated to students of Management and Finance, as well as to students who have spent years mastering a field of knowledge and yet they now practice something irrelevant to their former studies. Likewise, to employees who might have underwent same experiences as those examined in the book, to overly expensive executives of companies and to those who seek the truth behind big brands and massive organisations. Therefore, one would say that this book serves the purpose of illustrating techniques which function as an impediment to unethical professional conduct. 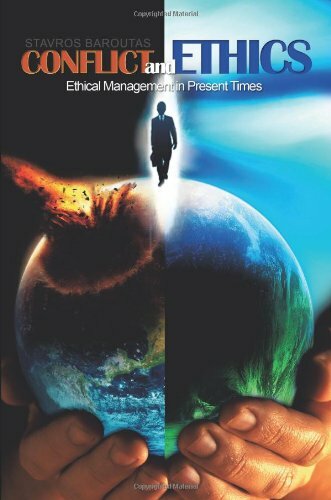 In this book, I attempt to delineate techniques for confronting improper professional conduct for the sake of ideal management and leadership. This piece of writing constitutes a study, as well as an exposition of thoughts on the matter of conflicts which occur within an organisation or company. It also comprises the first record of such conducts on the part of the writer. Theoretical models of management and standards of professional conduct are discussed in numerous books, but only a few writings report incidents of aggressive behaviour and ways of addressing such matters. In effect, formal meetings are hardly ever included among the reasons for failure of an organisation. As a consequence, such conducts are hardly ever acknowledged by anyone in any field of profession in Greece, may that be private or public.